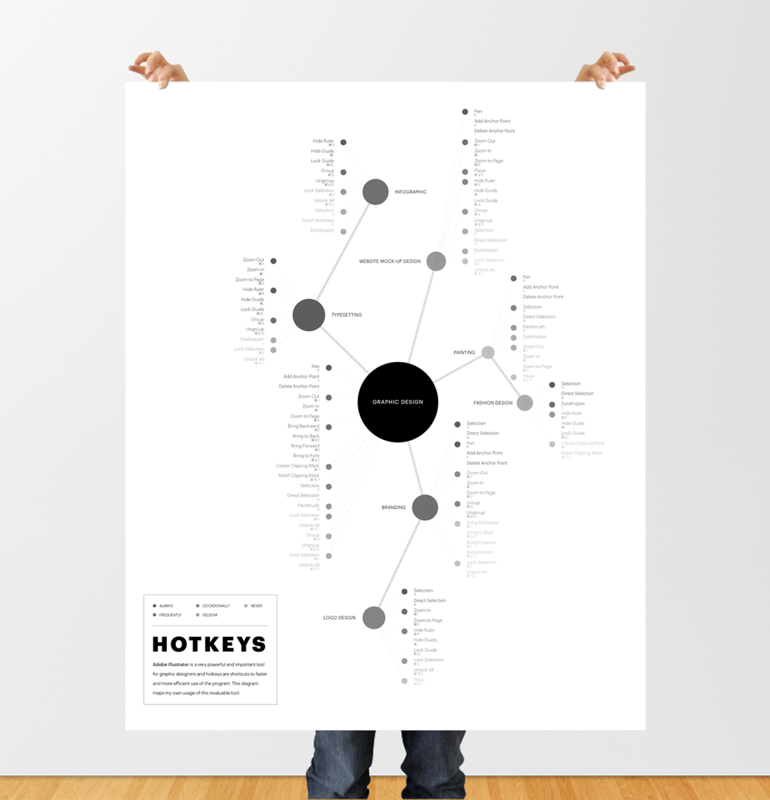 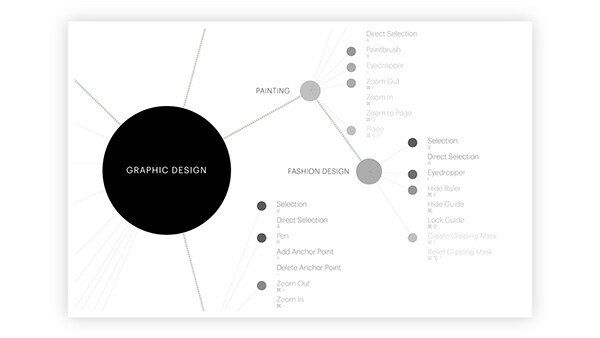 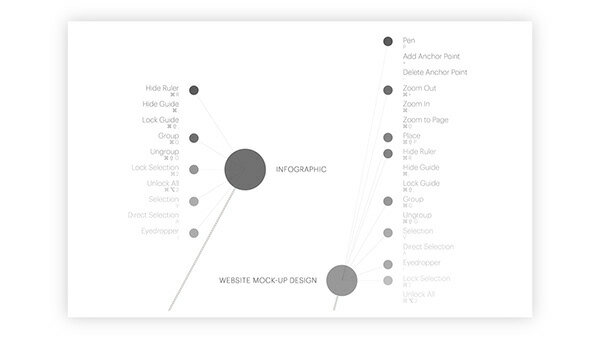 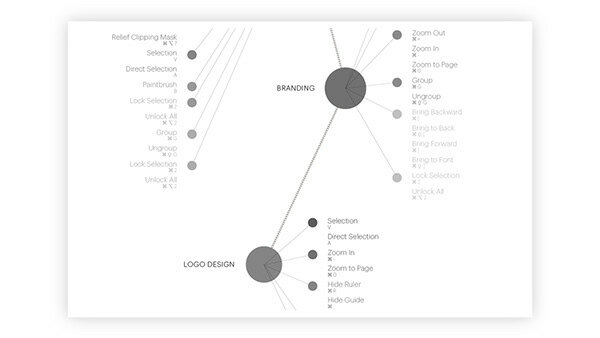 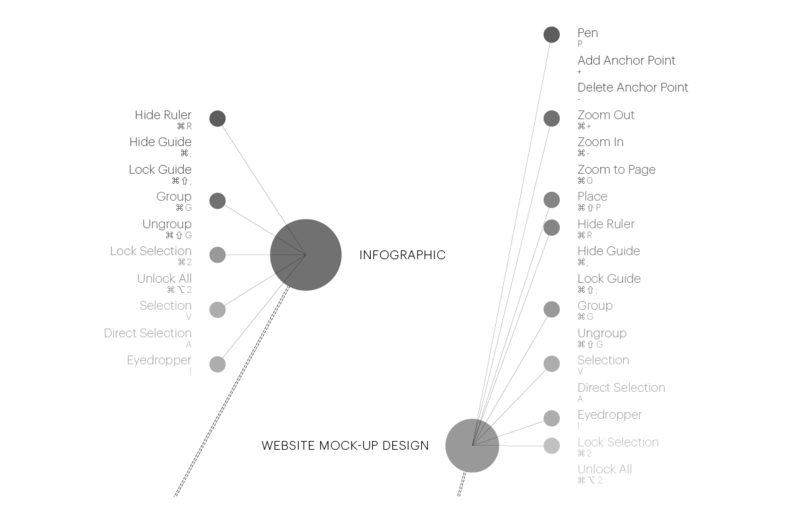 Hotkeys is an infographic work mapping my own usage of the Adobe Illustrator hotkeys as a graphic designer. 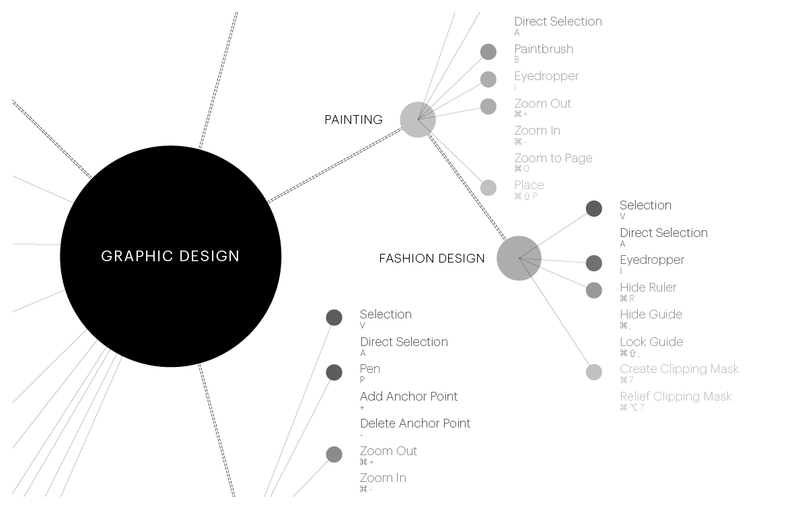 Adobe Illustrator is a very important and powerful tool for all graphic designers and the hotkeys are shortcuts to a faster and more efficient use of this software. 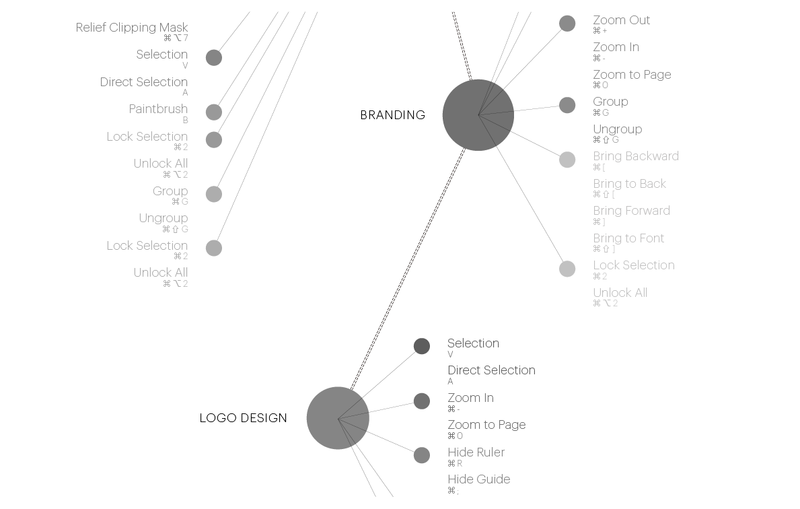 In this infographic, it shows the frequency of my hotkey usage, the relative creative fields, the proportion of different design categories in my design life.